Samick "Continental Console" style vertical piano, s/n 612923. Manufactured in 1985 by Samick Korea. 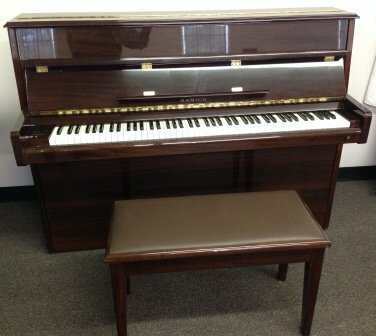 Piano is 43" tall with a polished mahogany finish and matching padded top duet bench. The Continental Console style has no front legs or casters and is good for homes with limited space.